Embellish potted plants with these colorful Red Mosaic Planters. 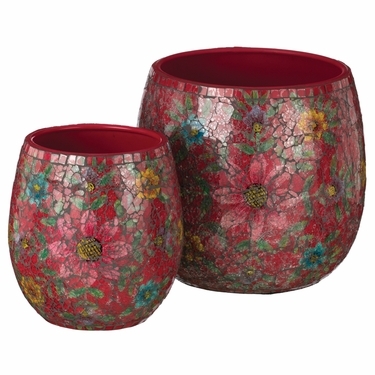 Made from thick hand-turned metal bowls that feature hand-painted floral designs with a crackle-glass overlay. Sold as a set of two nesting sizes and available in three colors. For indoor or outdoor use.